“As a musician, I know first-hand about the importance of hearing health. I cannot imagine a world without the ability to hear music. My world would be over!” says world-renowned trumpeter and composer Chris Botti, who appears in a Public Service Announcement (PSA) released this week by The New York Eye and Ear Infirmary (NYEE). 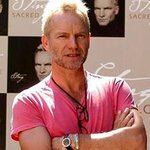 Filmed by noted videographer and photographer Fabrizio Ferri, with voiceover narration by composer, singer, author, actor, and activist Sting, the PSA is the centerpiece of a multi-platform hearing loss awareness campaign aimed to encourage baby boomers to get their hearing tested. 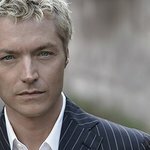 The PSA is being released in conjunction with the release of Chris Botti’s new CD “Impressions” on Columbia Records. Hearing loss is a critical public health issue. According to The National Institutes of Health, approximately 36 million Americans already have some degree of hearing loss, and… with 10,000 baby boomers turning 65 each day, this number is expected to skyrocket. Experts predict that hearing loss will affect an astounding 78 million Americans by the year 2030. NYEE is also going live with a new Facebook page featuring a “Favorite Sounds” video that captures people talking about their favorite sounds. Visitors can choose to “like” the site by recording their own favorite sounds, and by doing so enter a “Favorite Sounds Sweepstakes.” The sweepstakes prize is the $5,000-value opportunity for the winner and ten friends to share dinner with Chris Botti at The New York Eye and Ear Infirmary’s November 15 fundraising gala.